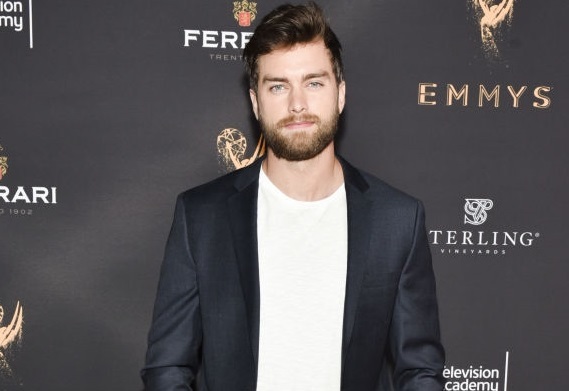 Pierson Fodé has chosen to leave CBS soap opera The Bold and the Beautiful and the role of Thomas Forrester, according to a new report by Soap Opera Digest. "As far as my time goes in L.A., this has been one of the hardest decisions I've made," Fodé tells the magazine. "I've invested two-and-a-half years of my life into this. You really do create this relationship on set with people, and you get used to seeing them every day. I'm also getting a steady paycheck, and I'm getting some notoriety out of it and some different things, but the decision that went into it was hard because you want to have your cake and eat it, too. You want to be there and I still want to go off and shoot a Marvel movie. I want to still be shooting on B&B and I want to do a Netflix series, and at the end of the day, you can't do it all. And that was the choice that I had to make." Having just re-watched Fodé in Naomi and Ely's No Kiss List this past Sunday, I can easily see a bright future ahead for the charismatic young actor. Fodé made his B&B debut in July 2015. It looks like his last episode (at least for now) will air in the near future. Stay tuned for the reveal of his final air date.